You can sue a hospital for Legionnaires’ disease if contaminated water at the facility made you sick. Your hospital lawsuit will seek money to compensate you for the harm caused by this deadly form of pneumonia. If your loved one was sickened and died, you may have a wrongful death lawsuit. Attorney Fred Pritzker and his team can be contacted with the form below. 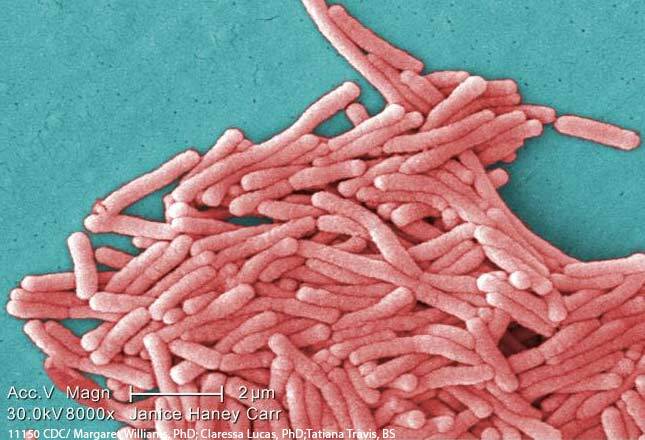 Our lawyers investigate Legionnaires’ outbreaks associated with hospitals. Below are past outbreaks. Five veterans who developed symptoms of Legionnaires’ disease after visiting the Columbus Veterans’ Administration (VA) hospital facility. Two of the 5 tested positive and are confirmed cases, and the other three had suspected cases. The outbreak was reported in June of 2018. Three people who work in Building 15 at Brooke Army Medical Center (BAMC) at Fort Sam Houston, Texas were diagnosed with Legionnaires’ disease, also referred to as legionellosis. Two were diagnosed with legionellosis in August of 2017, and the third one in January of 2018. Building 15 is located outside but near the main BAMC hospital. The California Department of Veterans Affairs reported that a resident at the Veterans’ Home in southwest Fresno has been diagnosed with Legionnaires’ disease. The veteran, diagnosed January 3, 2018, was treated at the VA Hospital. A 93-year-old resident at Sky View Rehabilitation and Health Care Center in Croton-on-Hudson, New York died from Legionnaire’s disease, according to reports issued in October of 2017. She was one of two people at this facility to be recently diagnosed with this severe form of pneumonia. Sky View Rehabilitation and Health Care Center is a 192-bed luxury nursing home. It is located at 1280 Albany Post Road in Croton-on-Hudson. If your loved one contracted Legionnaires’ disease from a hospital, clinic or nursing home, contact our lawyers for a free consultation using the form below. You and your loved one may have the right to sue for a money settlement. Legionella can contaminate water in showers, air conditioning systems and pools, particularly whirlpool spas. Humans can be infected by breathing in mists or vapors of contaminated water. The disease, named for an outbreak at a 1976 convention of the American Legion, can cause death in between five and 30 percent of cases, according to the Centers of Disease Control and Prevention. Attorneys Fred Pritzker and Eric Hageman represent clients in personal injury and wrongful death lawsuits against hospitals, hotels and others property owners responsible for Legionniares’ disease outbreaks. You can call 1-888-377-8900 to request a free consultation. Respiratory failure. If there are mechanical changes in the lungs (ventilatory failure) or oxygen loss in the arteries (hypoxemic respiratory failure), respiratory failure may result. Septic shock. Toxins released by the Legionella bacteria may lead to a sudden drop in blood pressure, which reduces blood flow to vital organs, including the heart and kidney. This can result in multiple organ failure and death. Acute kidney failure. This is the sudden loss of your kidneys’ ability to eliminate excess fluid and waste from the blood. Endocarditis. This is an infection of the endocardium, an inner lining of the heart. This can happen when Legionella spread through the bloodstream. Pericarditis. This is a swelling and irritation of the pericardium, the membrane around your heart.